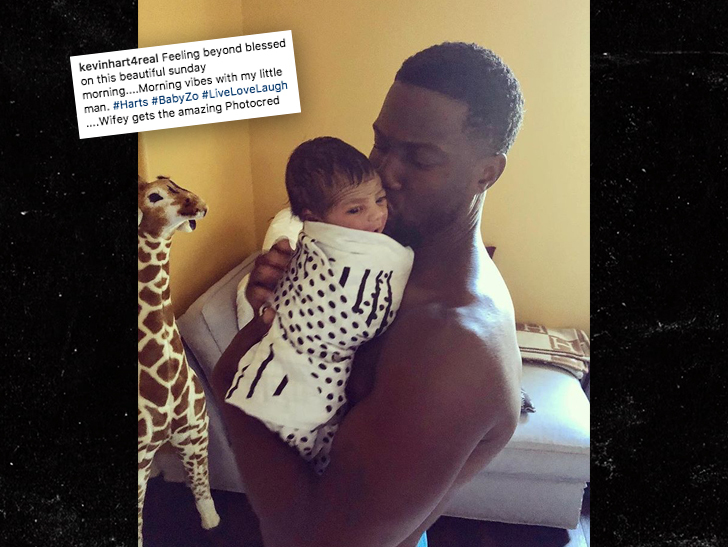 Kevin Hart shared an adorable picture of himself Sunday cradling his newborn Kenzo. 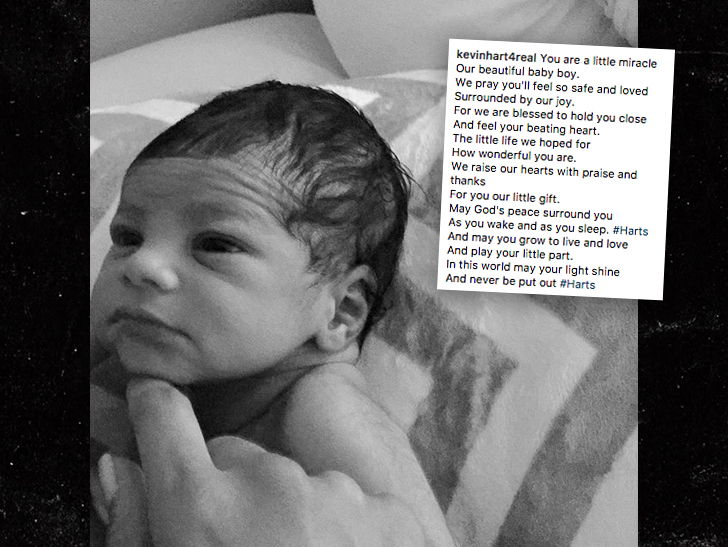 Kenzo, Hart’s second son but first child with wife Eniko, was born Tuesday. Kevin has two previous kids — Heaven and Hendrix — with ex-wife Torrei. It’s not technically the first pic of baby Zo. Eniko teased a photo of the newborn Saturday, but only showed the top of his head. Hart went a step further Sunday posting two photos of Zo along with a really sweet poem, although he might want work on his rhyming.